Medical robotics:Rehabilitation, surgical and service robotics for medical and wellness applications. – Defense and security robotics. – Outdoor process robotics for field applications such as welding. Miniature Robots:Standalone minibots implementing nanotechnology. Micro assembly systems for medical applications. 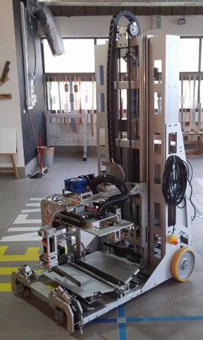 Large-Scale Robotics:Large-scale custom robotic systems for industrial applications. Innovative kinematics and dynamic control.